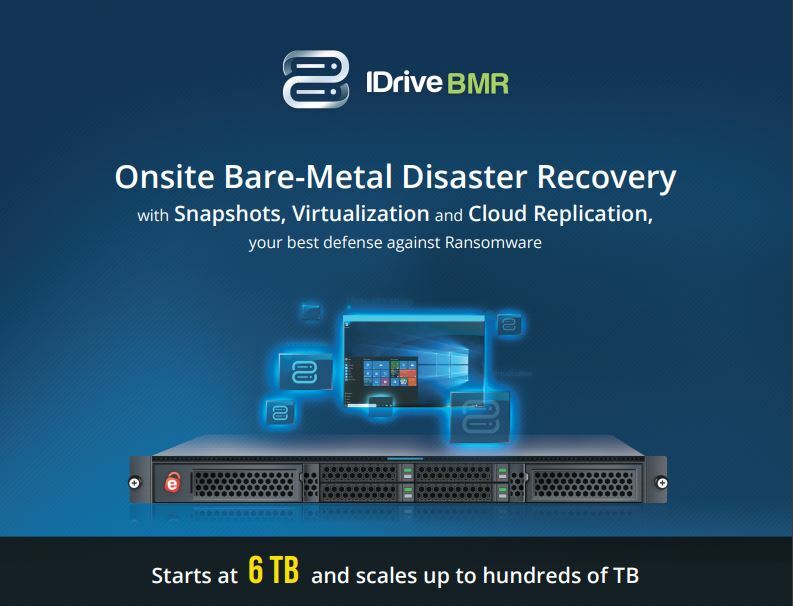 IDrive BMR offers the most cost-effective bare-metal restore functionality for onsite disk-image backup, with the ability to store entire OS and application settings for retrieval in case of disaster. Also offering cloud replication in addition to local backup, IDrive BMR allows you to transfer backups stored on your server to your cloud account for a more robust disaster recovery plan. Here at IDrive, we’ve recently beefed up BMR with some great new features to give users ultimate control over how their data is protected, accessed and manipulated. First off, what is data virtualization as it applies to backup with IDrive? Essentially, virtualization with IDrive BMR allows IT administrators to easily backup images of their entire system locally to the appliance for recovery to a new machine in case the original machine is compromised or destroyed. For businesses, reduced recovery time is a massive benefit of virtualization with IDrive BMR. Even if your hardware fails, the BMR appliance can instantly and accurately migrate data to working hardware so you can pick up working where you left off. Typically, the virtualized machine will be up within 30 seconds, drastically minimizing downtime when recovering from a disaster. New to IDrive BMR, the virtualization feature allows users to create up to four virtual instances of their clients and store them locally on the BMR server. Access these instances and resume your business without losing data, in case of any disaster. IDrive BMR uses top of the line hardware, with server grade Xeon E5 processor with 16GB RAM for ultimate performance. Now users can access their IDrive BMR server interface from any external network. This increases the simplicity and efficiency of utilizing IDrive BMR by allowing you to manage your local backup operations and cloud replications of your local backups from anywhere without having to be on the same network as the BMR device. IDrive BMR is the most cost-effective virtualization solution on the market, so take advantage of these new features and more today to protect your business from any disaster.